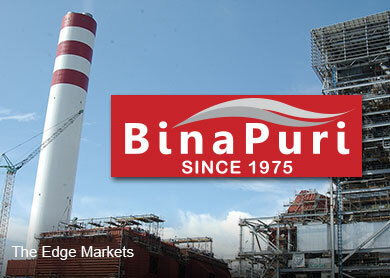 KUALA LUMPUR: Bina Puri Holdings Bhd plans to list its Indonesian power assets, said group Executive Director Matthew Tee Kai Woon. Speaking to reporters after a briefing this morning, Tee said discussions had begun and although the group was waiting for the right time, the listing could happen as early as next year. "It's too early to talk about the details of the listing yet, but it will be on the Development Market, which is a similar version of the ACE Market," he said. "We're also thinking if we should wait for our mini hydro plant to be completed as the valuations could be higher," he added. The group has seven micro diesel generated power plants across Indonesia, with a total capacity of 25MW. Its hydro power project is located in South Sulawesi and construction is 62% complete as at September 2014. At 11.50 am, the stock was trading 0.5 sen higher at 60.5 sen.